Late for Reality: Our New Addition - Meet Baby Callie! Our New Addition - Meet Baby Callie! On Saturday I woke at 5.30am with contractions and who would have thought less than 12 hours later I would be back home in bed with a new addition?! My full birth story will follow soon but for now I am so proud to introduce our beautiful Callie Enid McDonald! She was born at 11.34am on 5th November weighing 6lbs 14oz via a successful VBAC! We are all doing well and Ted loves being a big brother finally. 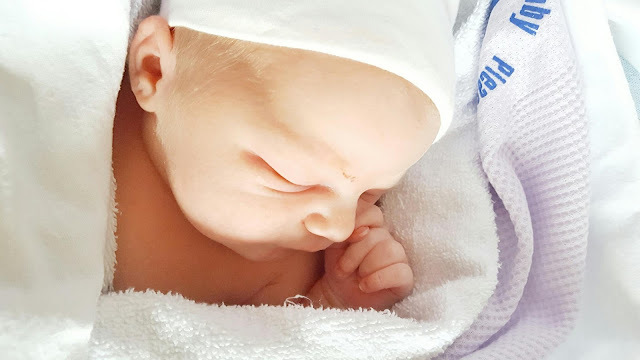 Like I said I will update you all on my super speedy birth story in due course but for now we are in the little newborn bubble and soaking up every minute of it.